I want to thank all of you for making our chapter a success this year. I especially want to thank the board members in making sure we had successful meetings every month. It is no small task organizing successful meetings and I could not have done it without them. Next year we will continue our success and will reach out to new individuals that are be interested in joining our organization that share our goal in protecting this city from fire. From our last meeting, we approved our new by-laws which now reflects what we are doing as a chapter. We also voted to Ariel Nunez as Secretary and Roland Gutierrez as Membership Chair to both to continue another year. We hope in this upcoming year we can find others who are interested in serving as part of the board. If you are interested, we encourage you to reach out to the chair and myself. This summer, we are planning on a couple of informal events to keep us engaged through this busy summer. Keep your eyes open for announcements of these events. One event is a trip to the San Diego State University Combustion research lab. Other events will be a social gathering at one of the many local breweries. This summer, the board will be working to make some changes in the coming year. We will be revising our Sponsorship program to entice sponsors helping our chapter become even greater. Additionally, in an effort to spread the outreach of the Fire Protection Engineering field, we are palling on putting together a program for the local Engineering Colleges. At our next meeting on June 8th, we have a couple of important items for business. If you would like to run for a position please send an email to sfpesd@gmail.com and dduval@tk1sc.com by June 8th with your name, the position you would like to run for, and a short blurb of why you would be a good fit. Second, we will be voting on our updated by-laws to better reflect what we currently doing as a chapter. See attached for the current by-laws for your review. Please RSVP and Pay for your lunch meeting below. Update on the Significant Changes to the 2017 edition of NFPA 25, the Standard for Inspection, Testing and Maintenance of Water-based Fire Protection Systems. 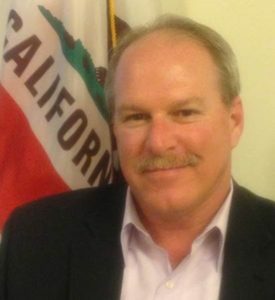 Bruce Lecair is the Associate Director West and Southwest Regional Manager for NFSA. He has an Associate of Science Degree in Fire Science, a Bachelor of Science Degree in Management and a Master of Science Degree in Emergency Services Administration. Bruce was awarded the 2010 Cal Fire Partnership Award for superior performance and outstanding contribution demonstrating the ability to work in a cooperative partnership with the California Department of Forestry and Fire Protection for his efforts in the initial adoption of the California Fire Sprinkler Regulation. This past March, he was awarded the California Fire Chiefs Association Fire Prevention Division – Southern Section William E Fox Award in recognition of service, leadership, and constant dedication to the Fire Service, the safeguarding of life, and fire protection. Bruce is the 10th recipient of the Award. Bruce wrote the request for action to the California Office of the State Marshal on behalf of the California members of the NFSA when contractors were experiencing fines for the discharge of water during NFPA Inspection, Testing and Maintenance of Water-based Fire Protection Systems. He was a member of the OSFM Work Group that wrote the Water-based Fire Protection Systems Discharge Best Practices Manual, the OSFM Automatic Extinguishing Systems Advisory Group, the NFPA 25 Work Group and served on all 3 of the Residential Study Groups during the adoption of the Statewide Residential Fire Sprinkler Requirement. This is a reminder that This Thursday (April 20th) will be the SFPE Board meeting held at the office of tk1sc. If you are interested in a board position or becoming more involved with the Chapter please attend the board meeting. The meeting is open to all members, but please RSVP to Derek Duval (dduval@tk1sc.com) as Lunch will be provided. Please RSVP by Wednesday to Derek Duval (dduval@tk1sc.com). The SFPE SD Chapter is excited to have Gary Dunger from OSHPD present “OSHPD Update” at our April 13th Chapter meeting. This talk will focus on relevant updates from Office of Statewide Health Planning and Development (OSHPD). Make sure to bring any relevant questions that you may have. Gary Dunger is the OSHPD Business Process Manager and Program Manager for the Electronic Services Portal at OSHPD Facilities Development Division. The eServices Portal is OSHPD’s web-based project tracking and plan submittal program that allows facility owners and design professionals to submit project applications and construction documents online for electronic document review. Formerly the OSHPD Chief Fire & Life Safety Office and Regional Compliance Officer, Gary has been involved with health facilities construction for 30 years.